It hasn't worked this time, because you could see the writing through the tissue when it was dry. Back to the drawing board with this one. Once my crafting stuff is altogether (again) when Mum moves into her new bedroom, I'll be able to look for a suitable paper. It's sooooo frustrating living with my hoard spread between several places - grr! 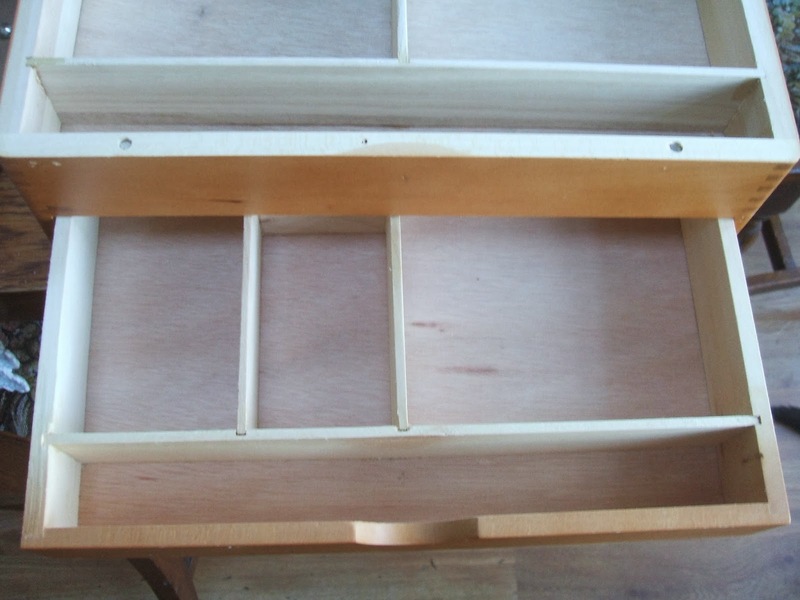 and there's a great little bottom drawer with a long section that would be great to hold rings. 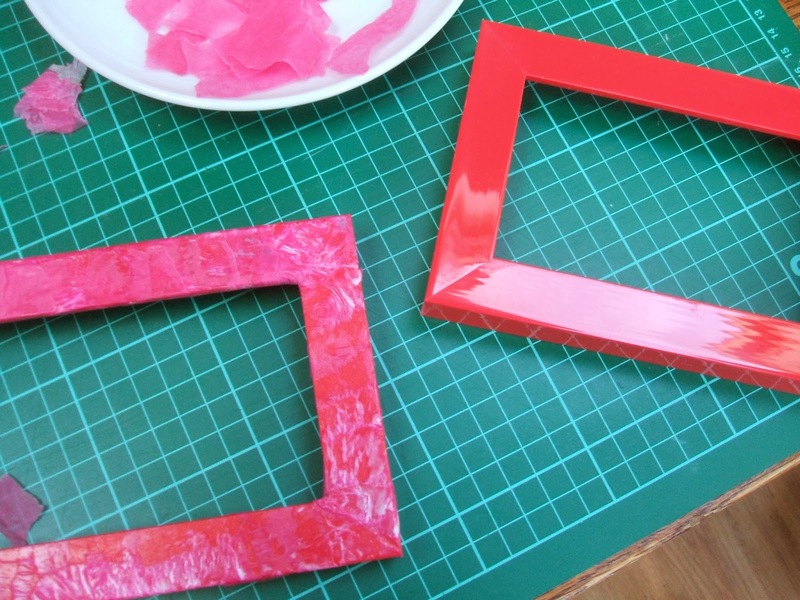 Before Christmas I picked up two sets of three red, plastic frames from the pound shop. I'm toning them down to a bright pink, with torn tissue paper (several layers to go on this one yet) and will seal them with watered down PVA, giving them a nice, but not glare-y, shine. I'll show you the finished results. 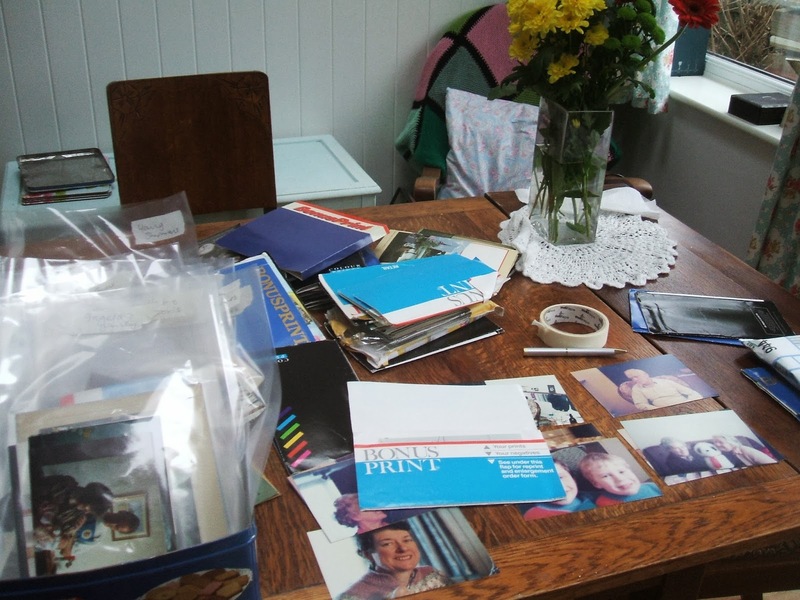 I've started a long-term project, sorting Mum's photo's. I think she's forgotten we brought them here when she came to live, and I plan to make them into (probably) about 10 albums, and give them to her as a surprise, for her 90th birthday, in August. It's quite a task because it has to be done on the dining table, when she's not around. Other than that, I'm still battling with knitting a jumper for DH, which is taking forever, partly because it's so big but, really that, in true flutterby fashion, I'm just bored with it! Anyway, pop over to Julia's place to see what everyone else is up to. I've also posted across the pond, over at Treasure Hunt Thursday, so why not go over there and take a look see at some more great ideas? 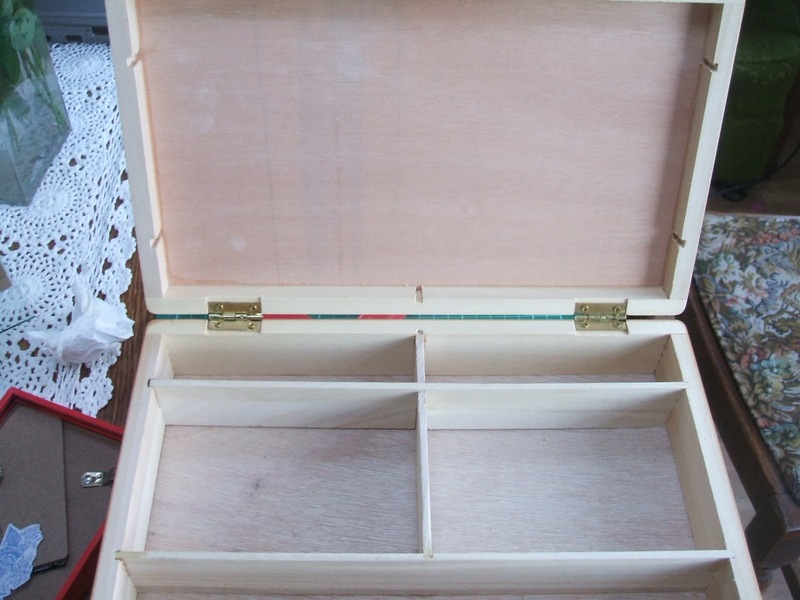 Those are very cool boxes! You are definitely a busy gal! Hope you get all accomplished that you want! Happy WOYWW! Best wishes on tackling the box - I bet it will be fabulous by the time you finish with it! 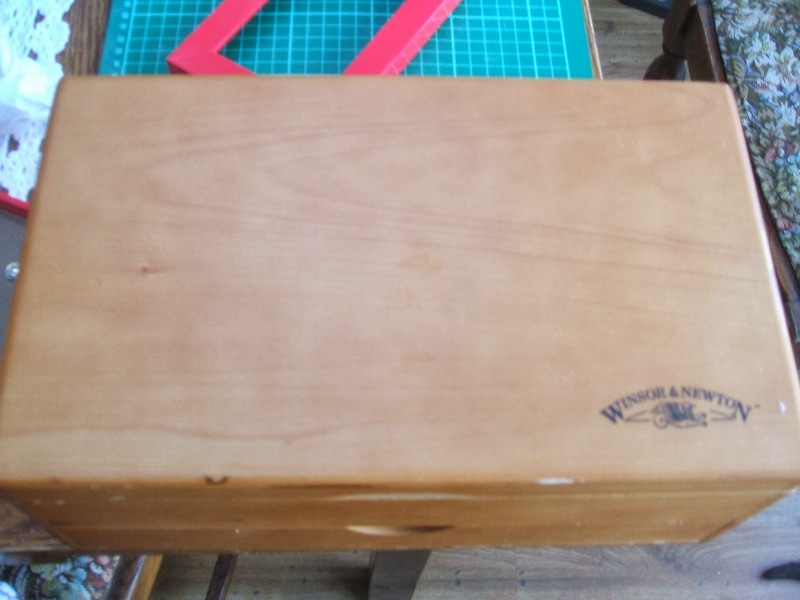 You might be able to remove the text on the box lid with some very fine sanding..an emery board for example..nice find though, however long you've had them. Proves though, that you've just got to be in the mood! Great good luck with your Mum's photos, that's a huge project in so few months, bt a wonderful and absorbing labour of love, no doubt. Thanks, Julia. I had tried sanding it, but the ink goes too deep, or something. It didn't make any impression on it.